William Morgan was a figure straight out of Hemingway. In this spry piece of scholarly detection, Mexico-based journalist Shetterly elaborates—and still, “straight out of Hemingway” may be the clearest description we have. Fidel Castro was not a doctrinaire, “overt” communist when he started his guerrilla war against Fulgencio Batista’s corrupt regime—at least his guerrilla war was not overtly communist. Moreover, Shetterly argues, Fidel’s organization was not the only one fighting against Batista; of much importance in the fighting in the country’s center was the Second National Front of the Escambray, a pointedly anti-Marxist organization whose “contribution to the Rebel war has been edited out of official Cuban history.” One of the SNFE’s leaders was the gringo Morgan, who turned up with mysterious credentials; he said that he’d taken up the anti-Batista cause when he got involved running guns with “a rather odd assortment of mobsters, teamsters, and ex-GIs.” From Toledo by way of an army stockade in Japan, Morgan rose in the rebel leadership. 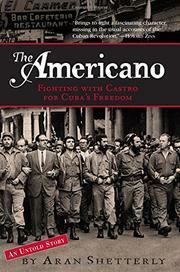 When the fighting ended and the Fidelistas started consolidating power, Morgan began a complex dance out of John Le Carré with next-door dictator Rafael Trujillo, launching an anti-Castro conspiracy predating the Bay of Pigs and assorted ventures by a year. Was Morgan a double agent working for Castro? Was he a CIA man? Time magazine thought the former, Fidel the latter, and Morgan wound up standing tall before the executioner, acknowledging that he was not a Castro follower but insisting, “I’m a Cuban now. And I believe in Cuba, and I believe in the Revolution, and I have a tremendous admiration—a tremendous respect—for the man.” The possibilities remain open, and Shetterly, to his credit, doesn’t force the evidence, though he does note, suggestively, that when Trujillo finally buddied up to Fidel, his sole request was that Morgan die. Another seamy mystery of the Cold War, nicely told.